– DJ James playing great jams in Salsa, Bachata, cha cha, hustle and merengue. – Friendly, judgment free zone.. Where all students, studios, teachers etc can get together and dance! So come and rep your school! – Light food and drinks at no extra cost. Plus feel free to bring your own to share with all. 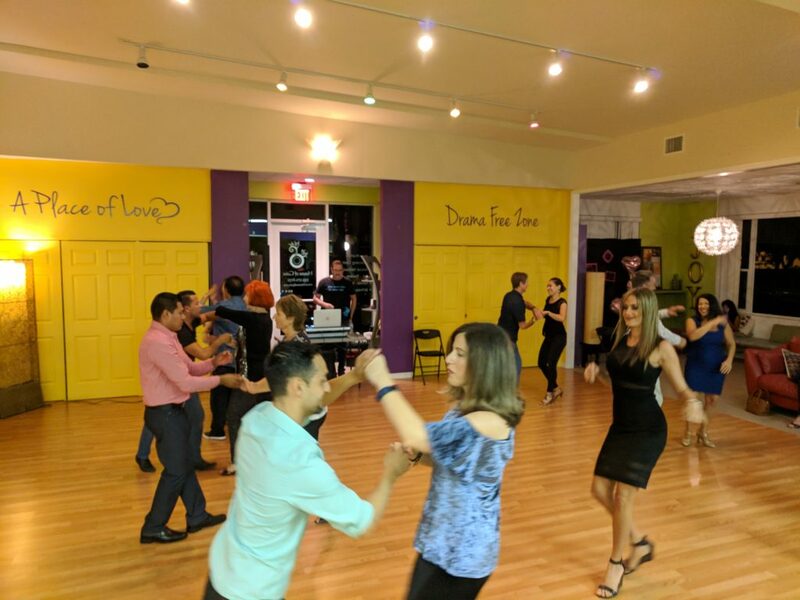 – Great space to dance and connect with others. 8 Pm: Dance workshop to kick off party.